losing even just two inches off of your waist can dramatically improve your health overall. the risk of dying increases about 25% for each additional four inches of waist size. It’s shocking and scary, I know, but there you have it. Fortunately, there are solutions for reducing your waist size, even if you’re over age 50. Slimmer waist size increases odds of a longer life, says new research. A recent New York Times article (see sources below this article) revealed the connection between waist size and longevity in the results of a research study by epidemiologist Dr. Eric Jacobs. The doctor and his research team tracked 48,500 men and 56,343 women, over age 50, from 1997 to 2006. What they discovered is fascinating. The upshot is: having a large waist size doubles the risk of dying. The results from the research establish that it’s important to your lifespan and vitality to have a tight waist. It is my belief that many of us are mildly allergic to many foods in the standard modern diet, but we don’t know it. 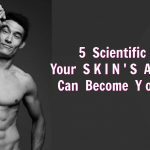 And, according to my own quirky theory, the more allergy or inflammation-inducing foods you eat, the more subcutaneous and visceral fat cells your body produces to pad and protect your vital organs from irritation. I’m not the only one who makes the connection between food hypersensitivity, inflammation, and belly fat. I encourage you to seek out your health care professional to develop a proactive, conscious healthier aging strategy. Having said that, here is a diagnostic scan to help you determine if you might be sensitive to a particular food or menu item. It simply requires that you look-and-listen carefully to a couple of your body’s key signals. After Eating, Do You Usually Feel Puffy? Everybody gets a little gassy sometimes, but if you’re often seriously bloated and uncomfortably flatulent after eating, then perhaps what you ate is something that your own body is challenged with processing. An important exception to this occurs when you’re not used to eating fiber (and then you start eating more fiber, you’ll get gassy – usually just because your body isn’t used to fiber yet; you will become accustomed to higher fiber intake over time). After Eating, Does Your Energy Level Drop? Please believe me when I tell you that food is supposed to give you energy, not drain it! If you feel even a little tired after you eat something: receive that as a message from your body. Most of us who have been eating the standard modern diet for a long time are so accustomed to feeling full and tired after we eat that we don’t even think anything about it or notice it that much. Very-full-and-tired is not the feeling you want to go for after a meal or snack. After eating, you want to feel enhanced with sustained energy. It depends on your own body’s unique chemistry, but generally wheat and dairy are the big culprits to the waistline (besides the obvious culprits – like sodas, fried foods, and booze). For men specifically, there has also been evidence to suggest that the leaner the waist, the higher the testosterone. And when testosterone levels are higher, men have more zest and robust emotional energy to enjoy daily life. It might be helpful to you if I quickly tell you my own story. At one point in my life, I had my waist to almost 36.5 inches. I’m 53 now and currently, my waist is 32 inches and still shrinking. This is a significant achievement for anyone, but especially for someone over age 50 in the US. Metabolism slows down each year, mostly because overall muscle mass tends to shrink over time. Many years ago, on a pleasant weekend afternoon when I was 40 years old, my friend Kirsten took a picture of me sitting on the floor playing with her toddler. Later, she mailed me a print of the photo within a greeting card. When I opened that envelope and looked at the photo, I was stunned! In the photograph, I looked like I was carrying a few bowling balls under my polo shirt… or like I was pregnant! I had no idea that things had gotten so out of hand. I guess all that pizza had caught up with me. Has that ever happened to you, where you see a photo of yourself or your passing reflection in a window, and you don’t even recognize yourself? As alarming as that photo might have been at the time, it was one of the best things that could have happened. It encouraged me to see my health more realistically and inspired me to begin the journey of getting more fit. How did I lose the fat? For example, for me personally, I tend to eat and feel so much better when I pack my lunch and bring it to work (instead of going to a restaurant, market, sub shop, or burrito place during my lunch hour). It requires having a list for the once-a-week visit to the grocery store. And it requires scheduling a set time to fix and pack the lunch before leaving the house in the morning. Even if you work from home, you still have to be organized in order to pull it off successfully. The best year of your life probably hasn’t happened yet. 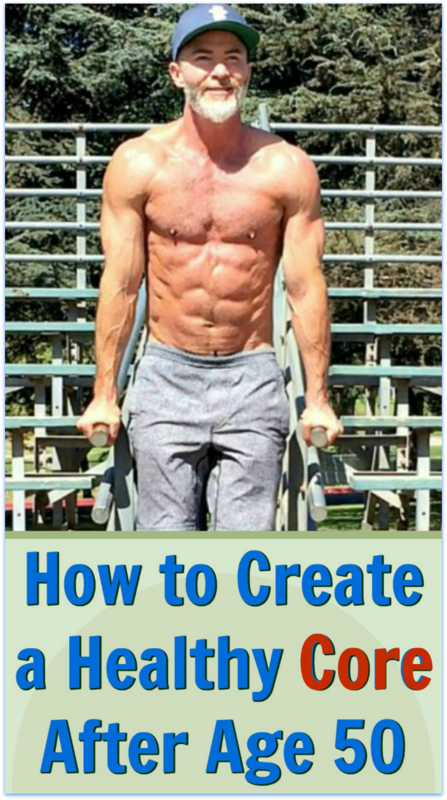 I’m Dane Findley and my message is simple: it’s only in your thriving that you have anything to offer anyone – therefore, the best investment you can ever make is in your own health. If you want to get healthier, you have to eat more fresh vegetables. Period. End of story. In order to increase my intake of fresh foods, I got myself a food processor and a really excellent blender (not all blenders are the same, folks). I use my food processor almost every night to make a fast and healthy dinner, and I use my blender to make breakfasts, lunches, and healthier, lower-calorie frozen desserts. This was no little thing. This made a huge difference! 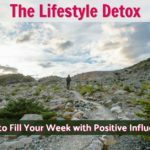 Could this article possibly inspire or help someone you know? I encourage you to email it to them. I decided to keep it simple. My strategy was just to shave 200 calories off my daily intake (which isn’t that much; yes, I noticed it, but it wasn’t painful) and burn 300 more calories a day through exercise (again: totally do-able). You can enjoy robust health and a trim waist during the second half of your life. 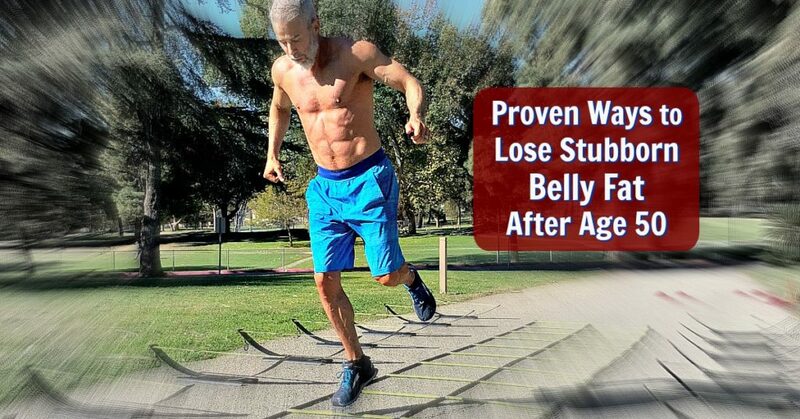 Here are proven ways to lose belly fat – even after the age of 50.
metabolism slows down each year – mostly because overall muscle tends to shrink with time (and muscle tissue loves to burn calories for fuel). Stay positive. Making changes to your body composition can be an exciting adventure. It's your physique, and you're in charge of its destiny. Preparation is likely to be a key to your success. "Winging" your food choices on a particular day might lead down an unfortunate path. Instead, you might find it helpful to do a meal prep day each week, and pack your lunches in advance. Also, many people find a blender and food processor invaluable for increasing vegetable intake. Because I know that muscle mass correlates with higher metabolism, I made sure to include some strength training each week. My personal favorite is using the kettlebell because I find it’s easier on my 53-year-old joints (see image, above). And, as always, pilates was very helpful to me (as it has been for decades), so I turned-up by pilates workouts a notch. I use kettlebells and pilates exercises to help my clients, age 50 and over, trim their waistlines, too. Perhaps most importantly, I tried to have a sense of humor. Life after 50 isn’t always easy – it’s strange to have a full head of silver hair and see my skin lose some of its elasticity and refinement, but the wisdom I’ve acquired in life truly has made me happier than I’ve ever been before. My mind feels calmer at this age. My life feels more meaningful to me, and so as I undertook my lifestyle improvements after age 50, I chose to see it as just more adventure on the journey (I never, ever thought of it as a diet). 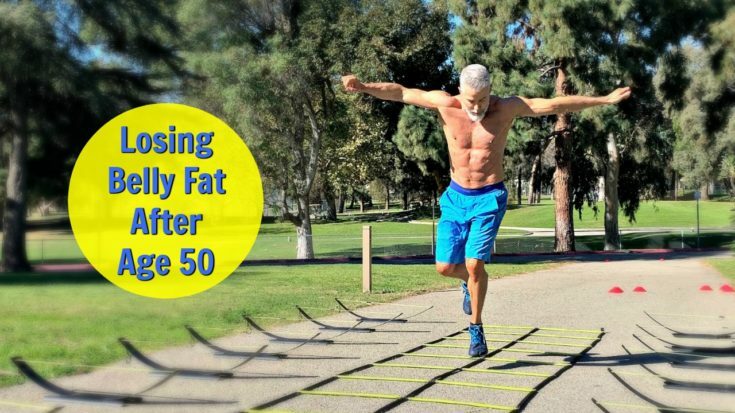 Yes, you can lose belly fat after age 50. Here I am doing a park workout – age 53 – knee raises using parallel bars (or in this case, bleachers). Abdominal exercises help trim my waistline and keep my core muscles firm; however, what has been more helpful to me for losing belly fat, has been eating an anti-inflammatory diet – a freshly made green smoothie each day and avoiding grains, dairy and sugar. Less fruit, too. What action steps does this article inspire in you to complete? Do you believe the results of Dr. Jacob’s research study, that long life correlates to a lean waist, even for people over age 50?